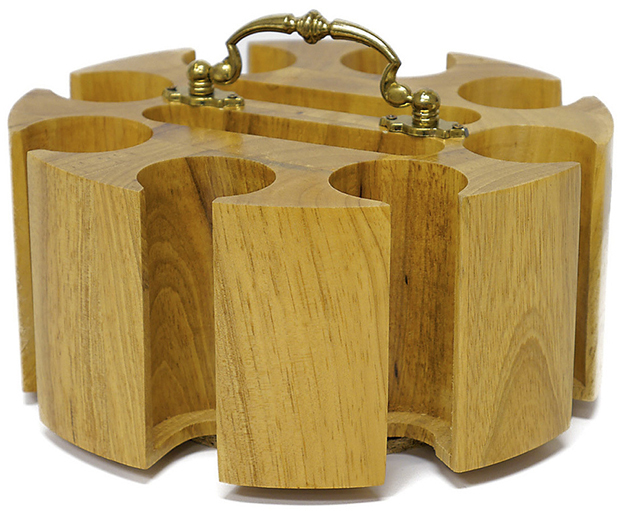 This is a beautiful high quality solid Oak 200 Poker Chip Wood Carousel. The carousel smoothly spins on a revolving ball bearing surface. The handle is exposed so one can transport their chips easily. This carousel is made from solid oak and built to last a lifetime.